A man working the overnight shift at a gas station in Herndon, Virginia, was shot and killed early July Fourth. He had been in the United States for less than a year. News4's David Culver reports. 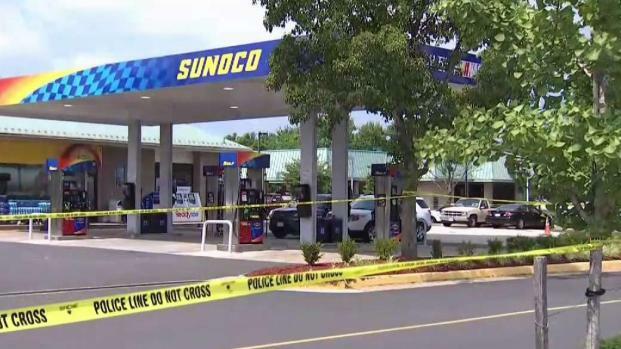 A man working as a clerk at a gas station in Herndon, Virginia, was killed on the job early Wednesday, and police have arrested the suspect. Resham Bajgain was killed as he worked the overnight shift at a Sunoco station in the 13300 block of Franklin Farm Road. The 40-year-old husband and father worked two jobs and lived in Herndon, friends said. Mohamed Abdullahi, 19, also of Herndon, is suspected in the killing and was charged with murder, Fairfax County police said. Bajgain worked part-time at the Sunoco and full-time at a Wegmans grocery store, friends told News4. He was originally from Nepal and moved to the United States less than a year ago with his 5-year-old daughter, to reunite with his wife. Police were called to the gas station just after 1:15 a.m. Wednesday — the Fourth of July — for a report of a robbery. Officers arrived within three minutes, police say, and saw a person matching the description of the suspect. It was Abdullahi. "As [the officers are] coming in and it's about 1:15 in the morning, there's not a lot of foot traffic in here, they immediately observe him, they confront him," 2nd Lt. Jonathan Bryant said. "I will tell you that he did resist, and two officers were able to eventually take him into custody." After police arrested the suspect, they found Bajgain lifeless inside the gas station. He had been badly beaten, a source said. A day after a recent immigrant was killed on the overnight shift at a gas station in Herndon, hundreds of people have donated more than $30,000 to his family. News4's David Culver reports. 7-Eleven, which manages the convenience store portion of the gas station, sent the company's condolences. "The safety and well-being of our 7-Eleven employees and customers is of utmost importance. Our hearts are with the victim and their family. We are gathering information and working with local law enforcement," 7-Eleven, Inc. said in a statement. Police believe that several people came into contact with Abdullahi between midnight and 1:15 a.m. in the nearby Franklin Farm Village Shopping Center, which includes a Giant grocery store. Abdullahi may have been asking to use people's cellphones, police said. 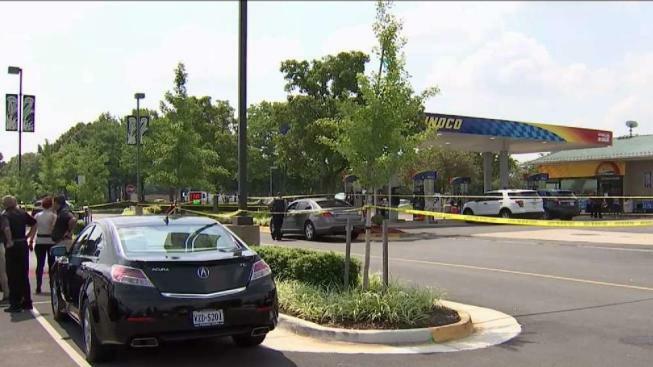 A man working at a gas station in a residential neighborhood of Herndon, Virginia, was killed early Fourth of July morning after what may have begun as a robbery. News4's David Culver reports. Anyone who may have seen Abdullahi is asked to call police. Someone driving a Pontiac GTO at the time of the crime also is asked to call police. That person is considered a witness, not a suspect. Abdullahi is being held without bond at the Fairfax County jail. He was charged with second-degree murder, and he's due to appear in court in August. An autopsy of Bajgain was set to be conducted Thursday morning. People who knew him took flowers to the gas station after they heard he had been killed. "I just wanted to say to the family, I’m thinking of you, my heart goes out to you," one regular customer said. "And to the coworkers, I don’t even know how you go back to work after something like that." Members of the Nepalese community in Virginia are fundraising for Bajgain's funeral and family using a GoFundMe page. As of Thursday evening, hundreds of people had donated more than $32,000.